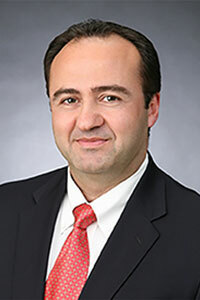 CORONA, CALIFORNIA – CIRCOR Aerospace & Defense, a CIRCOR International Inc. business unit, has appointed Tony Najjar as Group Vice President of Sales and Marketing. He will report directly to CIRCOR Aerospace & Defense President Vincent Sandoval. Najjar will be responsible for driving the complete sales and business development strategy for CIRCOR Aerospace & Defense. He will lead the group’s sales and marketing activities, and longer term business and technology development strategies. Najjar has spent over 25 years in aerospace and engineering roles. He held a number of leadership roles at Rockwell Collins and Kaiser Aerospace. Najjar holds both Bachelors and Masters of Science degrees in Mechanical Engineering from Oklahoma State University, and an MBA from Pepperdine University in California. He is a Six Sigma Certified Black Belt and a certified Lean Master. “Tony has a strong technical base and a demonstrated track record in business development, financial analysis, lean implementation, product development, and we are pleased to have him on our leadership team,” noted President Vincent Sandoval. CIRCOR Aerospace & Defense is focused on the design, development, and manufacture of specialty fluidic control, actuation, and aircraft landing gear systems for demanding aerospace and defense applications. CIRCOR Aerospace provides a full range of fluid controls and electro-mechanical controls, actuation systems, manifold assemblies, and complete landing gear systems. CIRCOR Aerospace & Defense has business units located in California, New York; Paris, Chemillé and Pau, France; Uxbridge and Cambridge, UK; Tangier, Morocco and Suzhou, China. Parent company CIRCOR International is headquartered in Burlington, Massachusetts and the CIRCOR Aerospace & Defense group is headquartered in Corona, California.